One of my friends brought me this wonderful shallow basket and I knew immediately what I wanted to do with it. I have been looking for something to hang on one of the walls and it needed to be large. 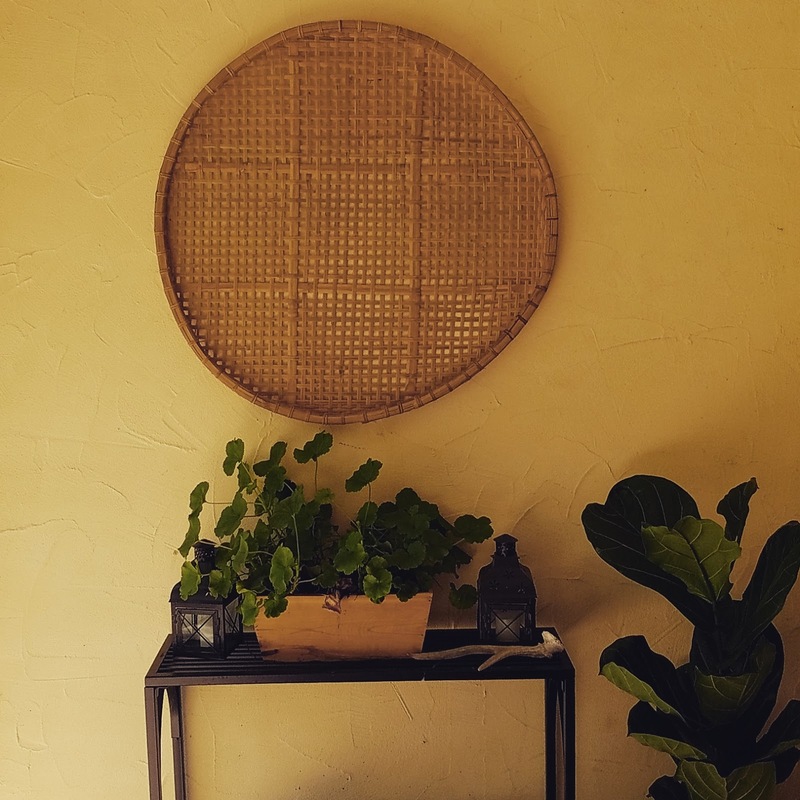 This tobacco basket fits the bill exactly and really has brought me joy each time I spot it coming up the steps or opening the door.